The forced closing of the Temple of Isis at Philae during the reign of the Byzantine Christian Emperor Justinian (527-565 CE) is generally considered to mark the end of Egyptian religion. Yet you and I are evidence that, though Isis’ Egyptian temples could no longer be places of worship, Her spiritual temples could never really be closed—and today flourish once more, not only in our hearts, but physically as well, in many of our homes. It is an interesting coincidence that the UNESCO project to move Isis’ flooded temple from Philae to the higher ground of the island of Agilkia began in the 1960s, a period that also marked the rise of second-wave feminism and the most recent upwelling of Goddess religion. Or perhaps, it’s more of a synchronicity than a coincidence. 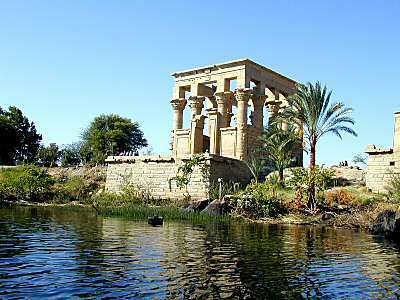 At any rate, today’s story is about the last days of ancient Philae, the beautiful Ptolemaic-built temple of Isis. Yet Philae, far down the Nile in southern Egypt, remained an outpost of the old religion. The biographer of the Neoplatonist philosopher Proclus (449-468 CE) wrote that Proclus made a point of worshipping the old Deities and specifically includes “the Isis still worshipped at Philae” among Them. Hellenes in Athens, a city that maintained a large Pagan population through the middle of the 5th century CE, made pilgrimage to Philae, which is attested by graffiti at the site. 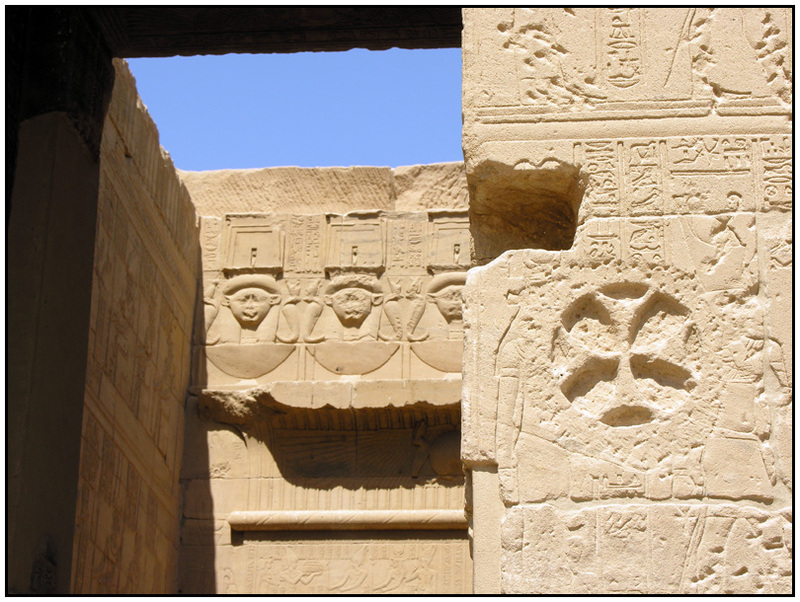 An Egyptian priesthood seems to have persisted at Philae until at least the time of the closing of the temple. were to have the right to cross unhindered to the temple of Isis, while the Egyptians had the care of the river boat in which the statue of the goddess [Isis, of course] was placed and ferried across the river. At a fixed time the barbarians take the wooden statue across to their own land and, when they have taken oracles from it, return it safely to the island. An interesting inscription from 373 CE notes that “the barque of Isis” was “far away for two years” but had finally returned. The barque was surely the sacred boat that took the image of the Goddess to and from the homeland of the Blemmyes. Historians have conjectured that some sort of political upheaval may have kept the tribe from returning the sacred image during this time. Several prayer requests to Isis have been found from this same period; more evidence of a living cult. In 439 CE, shortly after the 438 CE publication of the complete Theodosian edicts forbidding Pagan worship, an inscription from Philae noted that a certain Prophet of Isis made his obeisance before Isis “in the year named an abominable command.” The inscription is not entirely clear, but it seems to be decrying that a priest’s service to Isis should be banned by the “abominable command” of Theodosius. And yet, the worship of the Goddess continued at Philae. An inscription of 452 or 453 CE from a priest says that he, along with his brother, came to Philae and “performed his function” there. Another inscription from 456 or 457 CE makes note of a sacred feast that was held at Philae, possibly in connection with the ongoing lending of the statue of Isis to the Blemmyes. Around 425 CE, we begin to see Christian activity on Philae, coexisting with the Isis temple. Some years after this, we have a petition from a Christian bishop complaining about the marauding Nobades and Blemmyes. Eventually, under the Roman Emperor Marcion (450 to 457 CE), the treaty with the tribes that gave them access to the image of Isis would be negotiated, at least temporarily solving the problem. The petitioners complain about a man they nicknamed Omophagos (Raw Eater) who has been leading some of the Blemmyes away from the true path by renewing the temples and setting up shrines “with demons and wooden statues.” Omophagos was said to have “set aside the taught Christian worship and religion” and with his band of Blemmyes was ravaging the countryside and making it impossible to collect taxes (which is clearly the argument the petitioners think will have the most impact on the governor). Yet we don’t know the governor’s answer, so we don’t know the outcome of the story. What are we to make of this? Should we consider Omophagos some sort of Pagan Robin Hood? Or was he merely a brigand who also happened to be Pagan? 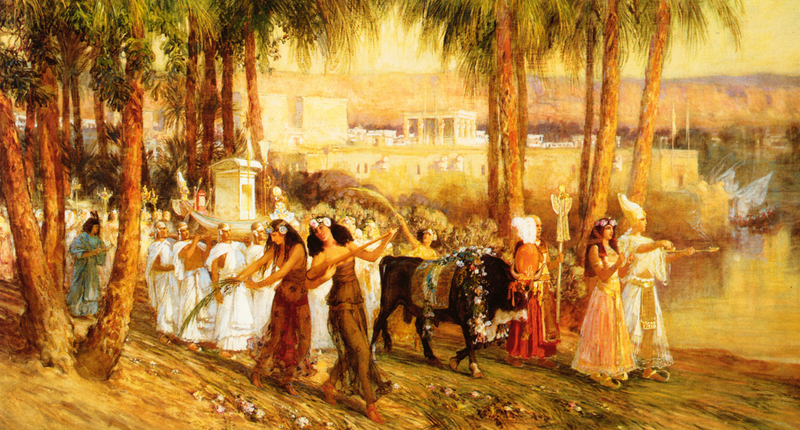 While we cannot know the full story, we can know that the worship of the Great Goddess Isis retained its importance for Her devotees long, long after it was officially forbidden. 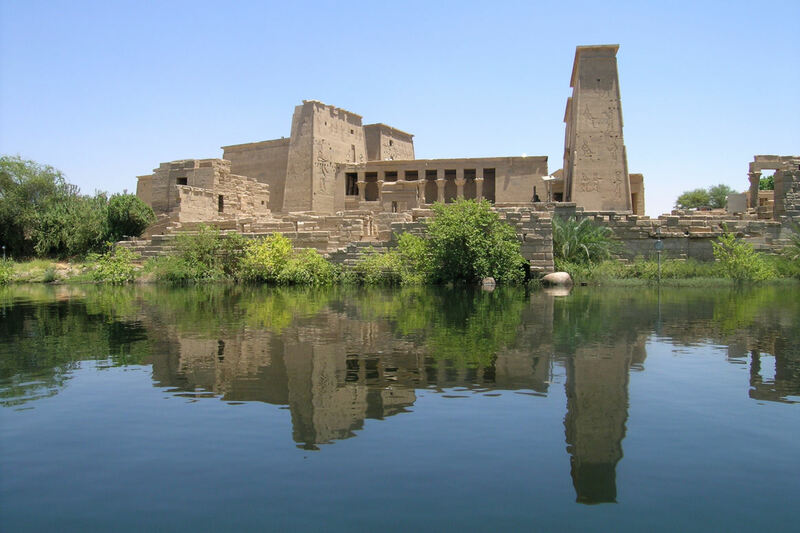 In part because of this tenacity, there is still a great deal of magic to be found in the Temple of Isis at Philae, its beautiful buildings now reconstructed on the island of Agilkia. It is a holy place not only for the worship of the Goddess that was conducted there, but as a demonstration of the ongoing strength of that worship and the need of humanity to know its Divine Mother. There is even an inscription at the Temple of Philae banning the practice of pagan ritual. Ironically, it may be the last hieroglyph inscription ever made on an Egyptian temple. Another exellent post by Isidora Forrest.